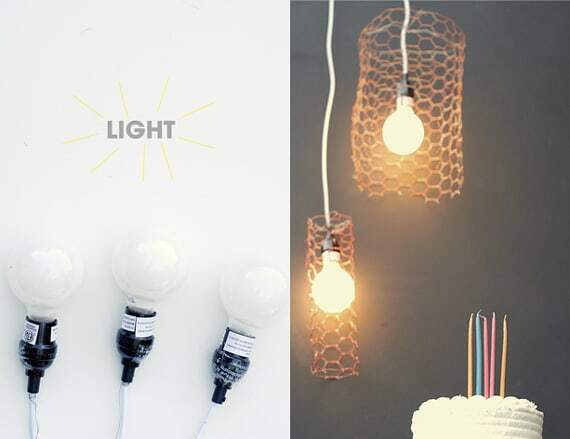 In my recent obsession with chicken wire I have fallen in love with these simple pendants for side lighting. They are pretty and have the perfect dose of whimsy that I love seeing around my home. I made a couple in different colors and used them to to back a party cake this weekend. 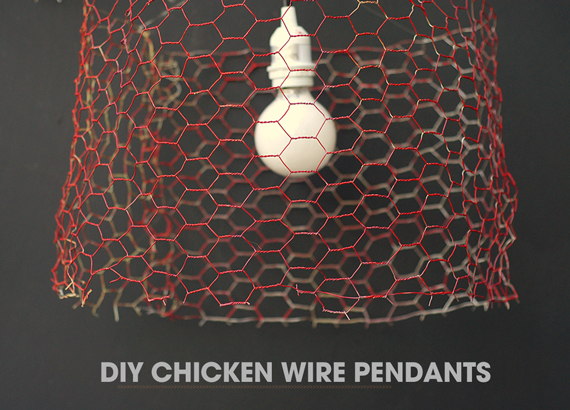 To make the chicken wire pendants; purchase and mold chicken wire into a pendant lamp shape. 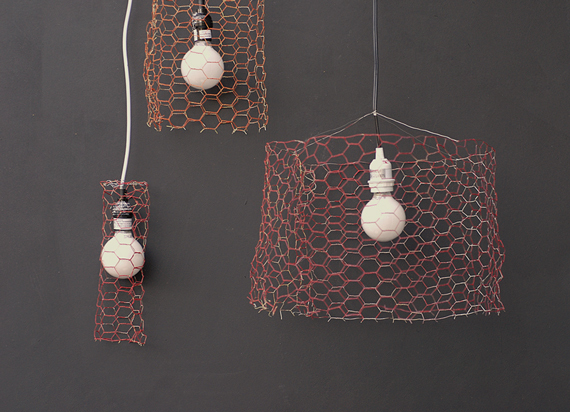 Paint the chicken wire using a wire brush and acrylic paint. 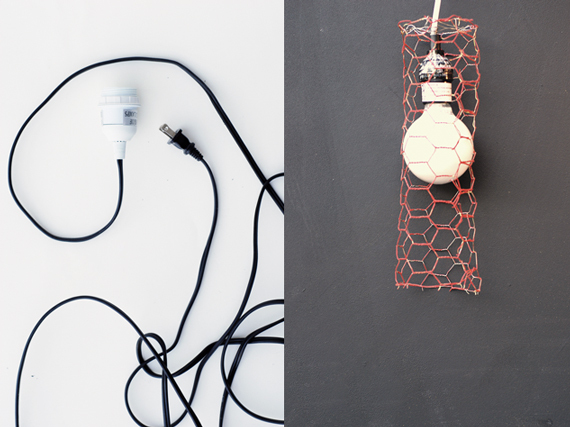 Once dry run thin wire criss cross atop the pendant and secure a light socket kit. 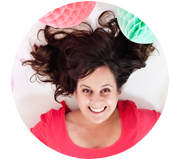 They make fun impact for a party backdrop and look great at home too! Victoria, this is what I have been thinking for the lamp right under my ceiling fans. Do you think it would work design wise? Love the idea that it would make gorgeous shadow effect. I love this! 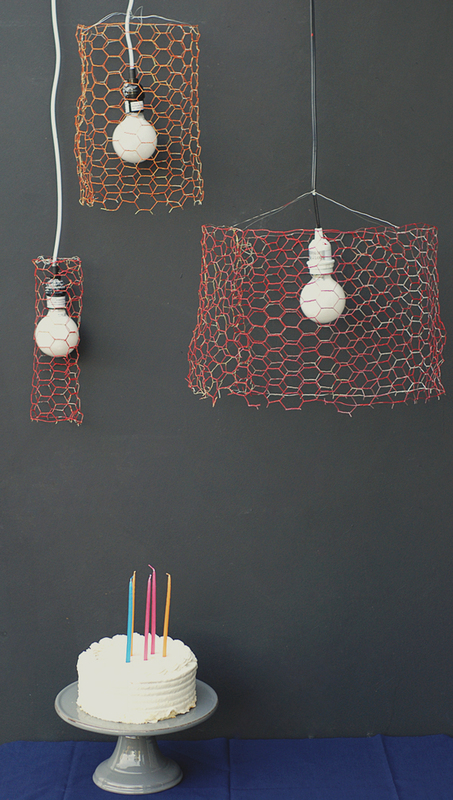 I love how this wire adds such a rustic element to a room. I would love to try this! I love the industrial look on these! and what an amazing idea!